The mission of the Bear Creek Headwaters is to secure, preserve and protect water quality and wildlife in the headwaters of Bear Creek Basin in the greater Lake Washington watershed. Your continued support of our efforts has enable the protection of the Bear Creek Headwaters for generations to come. 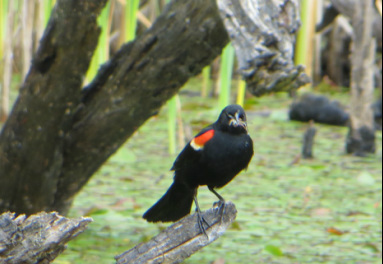 Agelaius phoeniceus, otherwise known as the red-winged blackbird, one of the many birds seen in Hooven Bog. 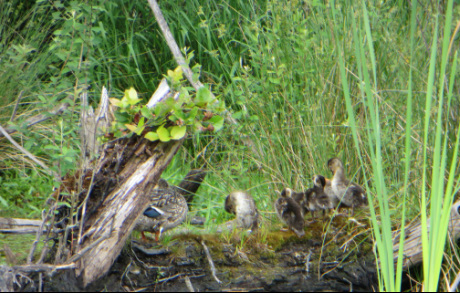 This family of ducks appreciates your help! 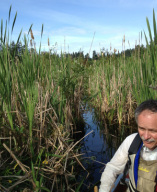 As a neighbor of Hooven Bog, Randy is a proponent for active advocacy for these headwater regions where water is collected and sets the tenor for water quality all the way to Puget Sound. Having grown up in the arid high plains we﻿stern U.S., he is especially aware of the importance and value of water. Randy is educated as an engineer with a career in the aerospace, medical, electronics, and optics industries. Part time hobbies as a small time farmer, woodcutter, and naturalist support interest in the long term sustainability of the environment. Kaela with Beaver dam in bog. Kaela wishes to fulfill social media and technical support for Bear Creek Headwaters Organization. A recent UW grad with her BA in media and communication, Kaela is working on pursuing her goal as a media expert. How did she become involved in this project? It has been a year this April 2014 that she has been on the BCHW board. Her heart had been moved from an art and environmental restoration class she took in her last quarter which was when she decided this organization was where she needed to lend her talent and energy. 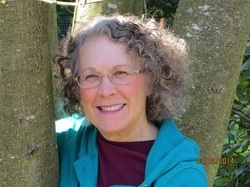 Her mission: to help this great effort make aware to the public the issues that surround Bear Creek Headwaters as well as assist restoration efforts for Hooven Bog as a holistic approach to preserve the land, a major component being the historic Chinook salmon spawning spots of our beloved region. Mickie Gundersen, a retired Master teacher comes to BCHW from the Sno-King Watershed Council and the Hilltop-Locust Community Group. Mickie fell in love with Hooven Bog after her first visit in November 2013, and wanted to participate in the saving of this ancient resource. Growing up in Woodinville, when it was predominately truck farms, gave Mickie a love for the land. As a child she watched the creek in her front yard turn red during yearly kokanee runs. Fish stopped returning to her creek from the Sammamish River when a lake was built in the middle of the valley, in what had previously been strawberry fields. The promised fish ladder was never built. From that time on, the creek was barren. An advocate for healthy watersheds, tree retention, saving habitat and reasonable development since 1998, Mickie has worked diligently for environmental protections. To this day she is still pressing Snohomish County to write a tree retention ordinance that actually retains large trees, not one that just allows clear cutting and replanting. Mickie is our e-mail correspondent and enjoys writing and conversing with our ardent supporters. Have a question about the new tree ordinance that Snohomish County is working on, or about what is happening with Hooven Bog, just drop her a line.